Cards from $25 to $500 in gear OR any class, trip, or membership! Want to improve your paddling stamina and technique, or prepare for a SUP race? Check out our Stand Up Paddleboard Race Fitness Training Program! Our SUP Race Fitness Training Membership Package includes ten weeks of two-hour training sessions coached by First Place finishing SUP racers and geared toward proficient paddlers. While learning the proven techniques of SUP racing, get fit through circuit and interval training and fun, unique full body workouts on your board. To help you succeed, you’ll also receive additional support and tips through weekly emails to get your mind, body, and soul on board. Early Bird Sale! Purchase by and save 30% off 1, 35% off 2, 40% off 3 or more! Potomac Paddlesports is proud to be an award-winning, charter ACA Pro School. 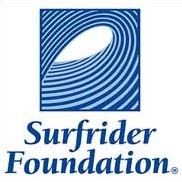 Support the Washington, DC chapter of the Surfrider Foundation. Potomac Paddlesports teaches and practices Leave No Trace ethics in all our programs. Below are some products that we frequently recommend to our beginning whitewater students. Have a look, and if there's anything else you need to make sure you're ready for your sessions on the water, we've got a ton of gear over in our online store! Check it out! 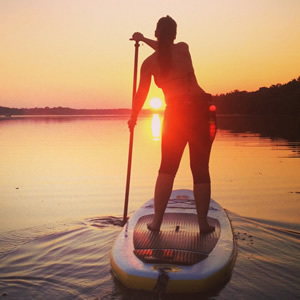 Potomac Paddlesports offers stand up paddle and standup paddleboarding instruction and stand up paddleboards in and near Washington DC on the Potomac River. With lots of great resources like Jack's Boathouse, Thompson's, and other great access points, you'll want to take lessons with an organization that functions more like a club or meetup group--only with more structure so you learn how to stand up paddle like a pro, and have a blast while doing it. We also have a full assortment of standup paddleboards and stand up paddles at our retail store in MD near DC where we are a dealer for C4 Watermen, Surf Tech, and more!